The Queen of Lean is Melbourne’s top female transformation specialists. Founded by Amanda Brown, we are centered around the mission to deliver excellence in health as well as outstanding, head-turning results! We do this by employing effective training methods, functional nutrition and advanced detoxification to coach and help you unleash the best you can be. The Queen of Lean is Melbourne’s largest and best female specific transformation facility. The founder of the facility Amanda Brown developed the brand through understanding that there was an abundance of ineffective methods which didn’t deliver the type of results women expected or deserved. 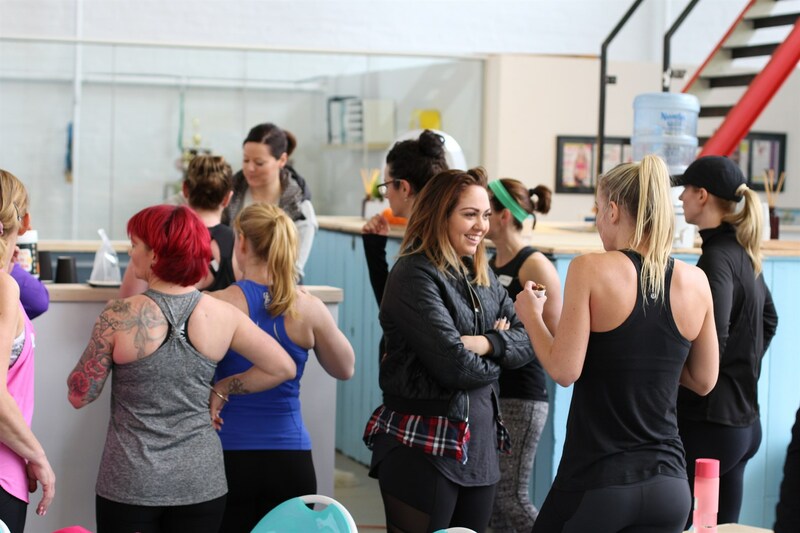 Having worked with hundreds of women Amanda realised that in addition to having individual needs women often felt intimidated in the typical gym environment. Knowing all of this she knew it was time to create the best all-female results driven community. The Queen of Lean is a revolutionary personalised approach specifically designed to empower women with the strength and knowledge they need to achieve their ultimate body. Women who start coaching with our team quickly grasp an understanding of how to shift hormonal and lifestyle factors to work in their favour. They learn the best and most effective training and nutritional methods building confidence on how to get their body to respond. In this amazing all-female community you are surrounded by like-minded people who have a mutual purpose and are driven by a hunger for results. It is in this down to earth environment that you can achieve exactly what you desire whilst having loads of fun along the way. Scroll through the pages of our website where you will read about women in similar situations to you, women feeling stuck and frustrated until they decided to step up and chase a better life. By tapping into this amazing community and the knowledge and support of our team they have been astounded by their new found energy and confidence. Many have set and achieved goals that they never dreamed possible, reclaiming their health and happiness. When you make positive changes in one area of your life the spillover effect is amazing. Trying to figure out what works for your body can be confusing and a hard slog, but with our team on your side you can kiss that feeling goodbye! The Queen of Lean was designed for motivated result driven women who want to feel empowered through the knowledge and understanding of how to bring out their best and ultimate body! we plan out your goal and do your Biosignature assessment to give us the information we need to plan out your nutrition. Next, we do range of movement testing so that we are able to design a specific program to you based around the goal you want to achieve. From here your training sessions are focused on educating you on the best techniqe so that you also build confidence. We also have scheduled appointments to track your progress and may also use AMT Muscle Testing to enhance your results and breakthrough any blocking factors.